Each air-conditioned apartment includes a living-dining room with a sofa bed and a kitchenette equipped with a microwave, hob and kitchenware. The bright bedrooms come with a wardrobe and a desk. 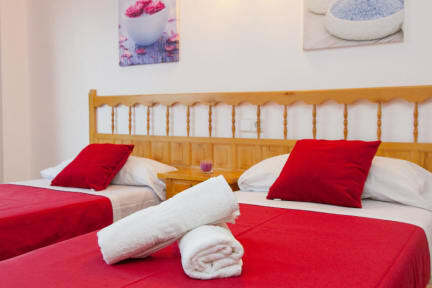 The bathroom has a bath and bed linen and towels are provided. The puet apartments are located in a perfect location for people that want to be central to everything san antonio has to offer , only a 5 minute walk to the local night life , shops and bars and the same distance to the beach. Ibiza Airport is 23 km away. Guests will find cocktail bars, nightclubs and shops within 5 minutes' walk from the property. Guests have access to a restaurant, bar and a shared lounge. 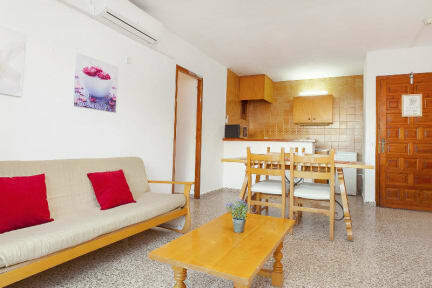 Apartamentos Puet offers a 24-hour reception and tourist information. The property has car and bicycle rental as well as airport shuttle service for a surcharge. Check in time starts at 14:00 to 18:00 .